Venice is one of the most romantic and storied cities in the entire world. 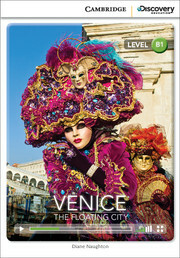 Now a popular tourist destination, Venice isn't just about winding canals and gondoliers. This reader examines not only Venice's long and fascinating history, but also its controversial present day. Word count: 2254. Lexile Reading Level: 860L.